So this is a mini-project I've been working on since forever. The original post was created in 2015. It took me so long to take the step but I finally did. I've always wanted to own an online consignment store. I even started off by selling pieces from my own closet. After years of deliberations and second thoughts, here's Porshher Consignment. Porshher Consignment is an online boutique specialized in selling Pre-owned Authentic Designer pieces, Gently used Bags & Shoes, Gorgeous Clothing and Accessories. 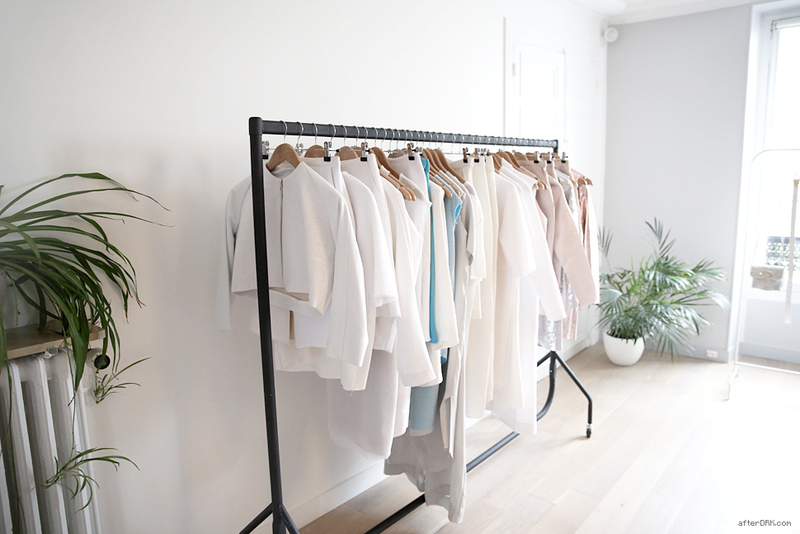 Its a one-stop shop closet concierge. We offer an exclusive service to consign and purchase your favorite luxury brands and fashionable clothing. Its like an online yard sale where you get cash for your gently used clothing. Its a great way to de-clutter your closet. While donating all of your old clothes, shoes, bags or other items to charity or relatives is definitely a noble route, if you’re strapped for cash, it simply might not be the best option. For many people, making decisions about what to keep and discard is difficult. Harder still can be figuring out what to do with the unwanted items. Fortunately, we are making it even easier to find a second home for your unwanted clothes, shoes and handbags, and to make some money while you’re at it. 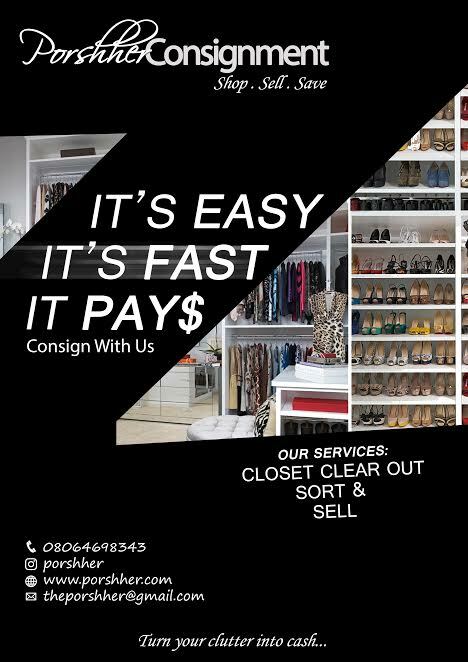 We are here to make online consignment easy. We help you by offering access to a lot of potential buyers. Consignment is when a shop sells goods for an owner. The owner keeps ownership of the item until it sells, if it sells. As the owner, you’d pay a small fee as compensation for them selling your item. It’s standard for you to drop off your items for a 30-, 60- or 90-day cycle. If your item doesn’t sell within that period, you can decide to discount the item (by say, 30%), or you will need to pick it up. You can expect to be charged a 25% to 40% commission, which the shop collects as its profit. Selling your stuff second-hand is a great way to clear out your house and pocket some extra cash. Closet Organizing - This is the most important step in re-vamping your style or just trying to figure out your personal style. We offer a closet organizing service where we help you organise your closet and create a space where all your clothing is well organised and easily accessible. Clothes Sorting - With your direction, we'll sort out your clothes into Trash, Donate, Sell or Keep. Also help you make note of the items that left the closet that needs to be replaced. All in all, our closet services are limitless! Resell - We help you sell your items. We offer an exclusive service to consign and purchase your favorite brands and fashionable clothing. 2. Professional Presentation - Professional Photography and writers ensure that your items are presented professionally. 3. Online + Retail Store Store - Not only do we sell on our website and 3rd party sales channels and also on Social Media, we sell and consign via word of mouth. 4. Dedicated Product Marketing - We dedicate considerable time and money toward the marketing of our merchandise. 5. No Hidden Fees - All of our selling items are clearly detailed in our selling agreement, so there are no surprises when you get paid. 6. Expert Authentication - Years of experience. 7. Give Back - 10% of sales are donated to a choice Charity organisation. Its Easy, Its Fast and It Pay$! That moment when someone does exactly what you are thinking...Kudos girl and congrats on your new store...hope to meet you someday.